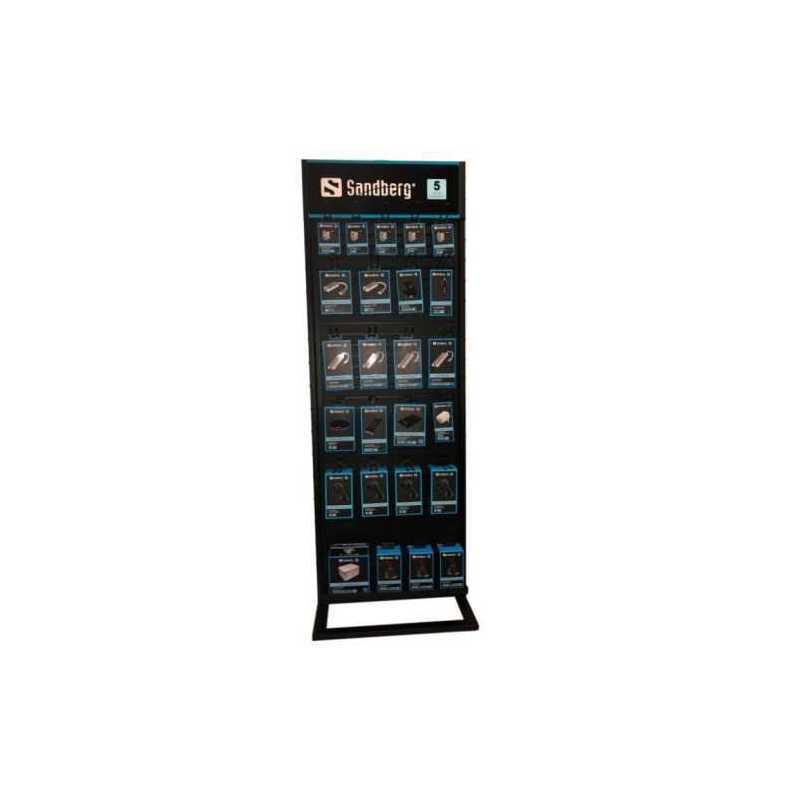 Twosided slatwall shop display for Sandberg products. Solidly constructed in a metal frame with aluminium sections, which are very easy to put together. 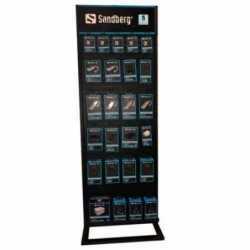 This high quality display is an eye-catcher in your shop, and it's sure to increase your sales of Sandberg products. Comes with 40 hooks and two Sandberg logo top headers. Additional hooks, shelves and wheels are available. Sandberg EsportsEquipment and Sandberg Active header signs are also available and are easy changeable.